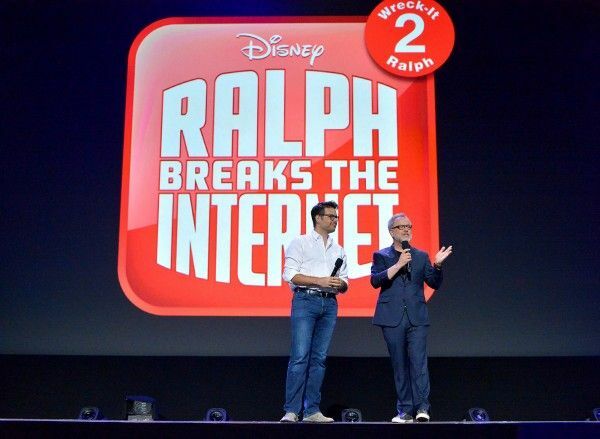 Ralph (John C. Reilly) and Vanellope (Sarah Silverman) are back on the big screen in Ralph Breaks the Internet! This time around the duo must venture out of the video arcade and make their way into the internet to try and track down a replacement part for Sugar Rush and save Vanellope’s game. Of course Ralph and Vanellope make quite the team, but in order to pull this off, they’ve got to get some help from a whole bunch of new characters that call the Internet home, like Shank (Gal Gadot) from the very popular racing game “Slaughter Race” and the Disney princesses we all know and love. Shank has a pretty significant, meaningful impact on Ralph and Vanellope’s friendship and that Disney princess sequence certainly lives up to the hype so when I got the chance to sit down with Ralph Breaks the Internet directors Rich Moore and Phil Johnston, I had to ask about both of them. Check out what they told me about the process of casting Gadot, the evolution of the Disney princess scene and also who they’d name the unsung heroes of Ralph Breaks the Internet in the video interview at the top of this article.